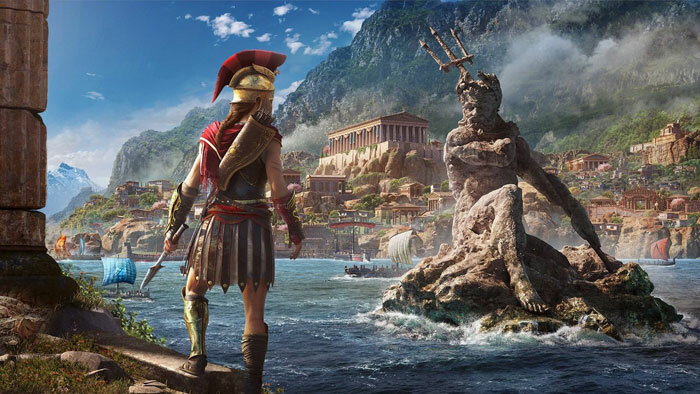 Ubisoft has published a blog detailing what to expect in terms of post-launch content for Assassin's Creed Odyssey. First of all the good news - "all players will receive free post-launch content in the form of The Lost Tales of Greece episodes, as well as daily and weekly in-game events," but there are numerous exclusives for those who buy the Season Pass, Gold, or special editions (of course). The first major piece of story-based post-launch content will be Legacy of the First Blade. Launching in December this DLC reveals more about the history that led to the formation of the Assassins. In spring 2019 Ubisoft follows up with The Fate of Atlantis, the second story arc, which will "set players against mythic creatures while they uncover the mysteries of the fabled sunken city of Atlantis". Ubisoft says that each story arc will be released as a series of episodic adventures releasing approx every 6 weeks. 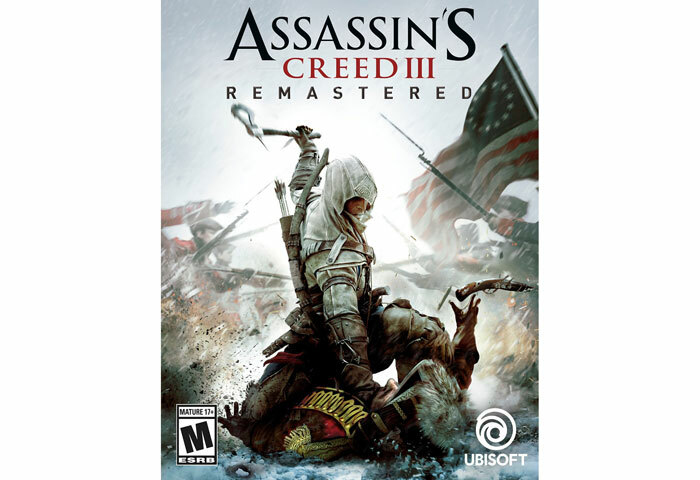 Another bonus for Season Pass purchasers is a copy of Assassin's Creed III Remastered. This American Revolution themed game includes all the title's post-launch content (like the Benedict Arnold missions, the Hidden Secrets Pack, and The Tyranny of King Washington – as well as Assassin's Creed Liberation Remastered) and will support 4K and HDR on PS4 Pro, Xbox One X, and PC via higher-res textures, improved lighting rendering and more. Those who don't splash out on the Season Pass will, as mentioned in the intro, still have some new content to look forward to. The Lost Tales of Greece are free episodic stories that will release regularly between the larger post-launch episodes, providing a continual stream of new content to all players, with quests that feature new and familiar characters. Furthermore, all players will see recurring in game events introducing new epic ships, mercenaries, and mythical creatures. Other interesting modes on offer to all include the Game Plus mode, which will bring new challenges and allow you to see how different choices affect your odyssey, and the return of Discovery Tour mode in a conflict free environment with guided tours. 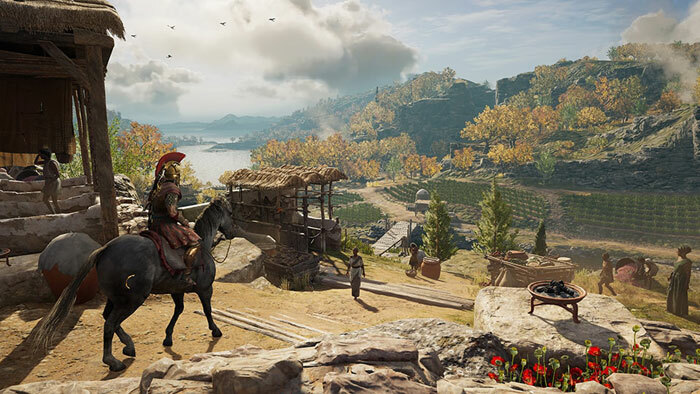 Last week Ubisoft shared the PC minimum and recommended specs for Assassin's Creed Odyssey. It assures gamers that "the PC version is not a port of the console versions of the game, but a tailored experience developed by a dedicated team at Ubisoft Kiev in close collaboration with Ubisoft Québec, the lead studio on Odyssey". Features not seen in the console versions include; benchmark tools to test the different graphics settings, and a toggle option for dynamic resolution rendering to uncap the framerate. For 4K gameplay the recommended specs are of course higher, and Ubisoft suggests you equip an AMD Ryzen 1700X or Intel Core i7 7700, with an AMD Vega 64 or Nvidia GeForce GTX 1080, and 16GB RAM to target a 4K@30fps frame rate. Assassin's Creed Odyssey will launch on 5th October on PS4, Xbox One, and PC. Players who pre-order the gold or special editions will have access to the game starting 2nd October.